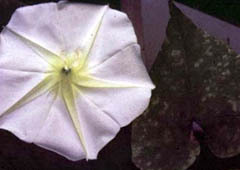 This vine earns its name from its pure white blooms which open at dusk and close just after dawn. Prefers soil that is moist but not soggy soil. Grows best in warm weather. 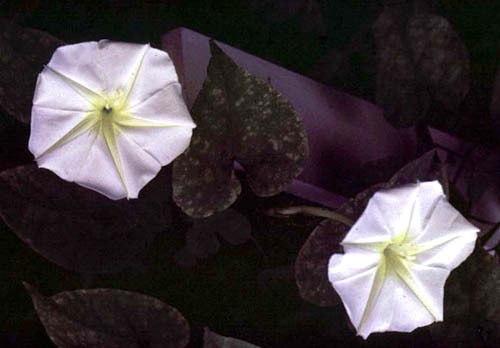 The 5� wide flowers are pure white and open at dusk. beneficial insects - Attracts nocturnal moths. Propagate by seed - Start seeds indoors 4 to 6 weeks before the last spring frost, or outdoors where desired after frost danger has passed. Before planting, nick the hard-coated seeds with a file or soak overnight in warm water. Install trellis or stakes before planting.